Ford City Mall reopened Sunday after two people were injured and dozens were arrested the day before in a melee at the Southwest Side mall. 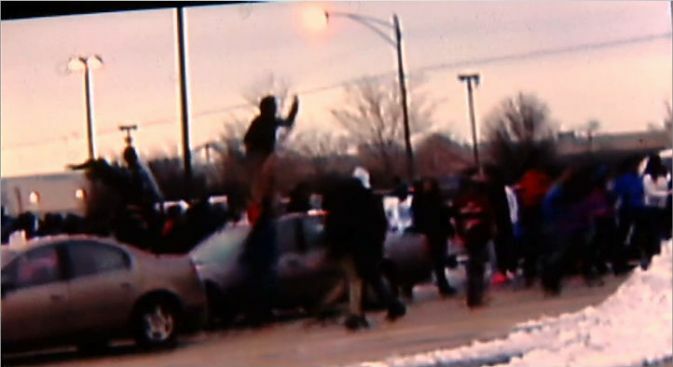 Officials estimate more than 1,000 youths were at the mall, located at 7601 S. Cicero Ave., for the appearance of teen music group Mindless Behavior when a group of 30 teens began fighting. Police said around 4:45 p.m., a large group of disruptive teens began running through the mall. Though nothing was damaged, patrons said parents were grabbing their young kids and running for cover. Hundreds of teens poured out of the mall after the disturbance, spilling into the parking lot where police said the teens began vandalizing and looting cars. A CTA bus driver reportedly was among the injured. Most of the teens arrested were charged with misdemeanor mob action. The mall shut down after the incident.